BEAUTIFULLY RENOVATED 3 BEDROOM HOME WITH AMAZING VIEWS! 450 West 17th Street Unit 2009 is a newly-renovated 3 bedroom/3 bathroom home right on the High Line! 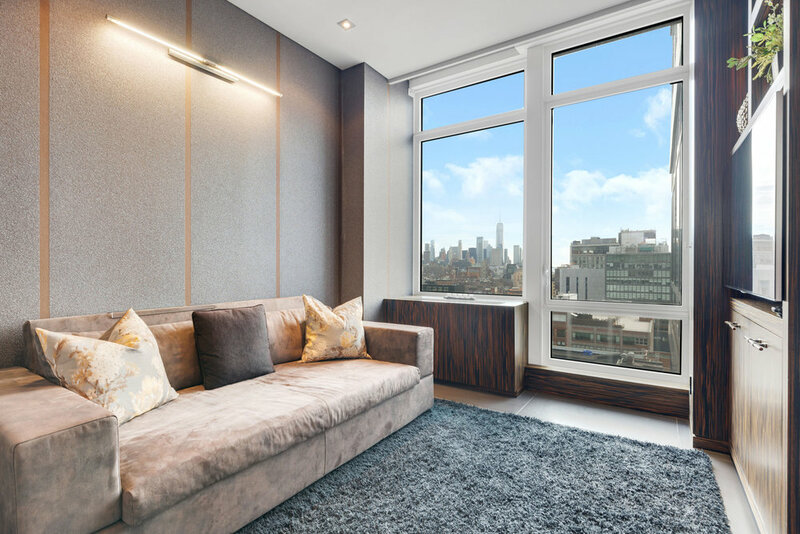 This sunny, corner unit has views in every direction - of the Hudson River, Downtown Manhattan, and the Empire State Building. The apartment is in mint condition, having been gut-renovated and exquisitely designed to give you the ultimate chic downtown feel! The apartment offers an ideal floor-through layout, with the master suite separate from the other bedrooms and living/dining room. The overall design provides a large entry foyer and 6 large custom-built closets. 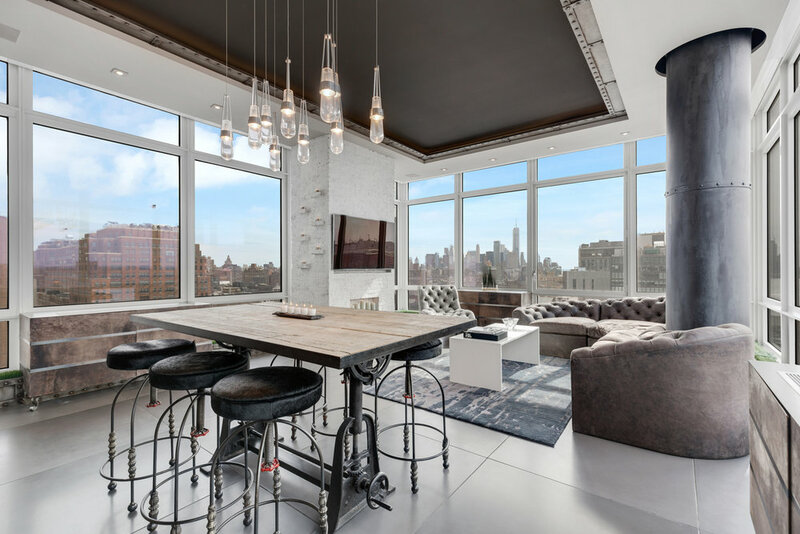 The huge 21-foot long great room has South, East, and West exposures, with views of the Hudson River, downtown Manhattan, the High Line, and the Chelsea skyline. The room has been meticulously designed to give you the ultimate downtown feel with a tray ceiling and recessed accent lighting. 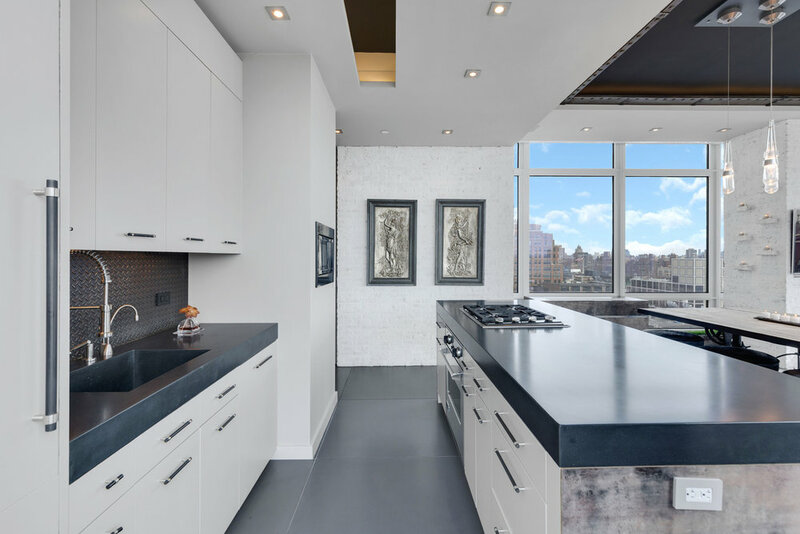 The open kitchen is a masterpiece, with all the best stainless-steel appliances, including a 4-burner Wolf stove, Miele dishwasher, SubZero refrigerator, Viking oven, Rohl faucet, and built-in microwave. The custom-built upper and lower soft-close cabinetry offers more than ample space for all of your storage needs. The polished concrete countertop doubles as a large breakfast bar, easily accommodating three or four stools for your casual dining. The adjacent dining area easily seats six for a more formal dinner party. 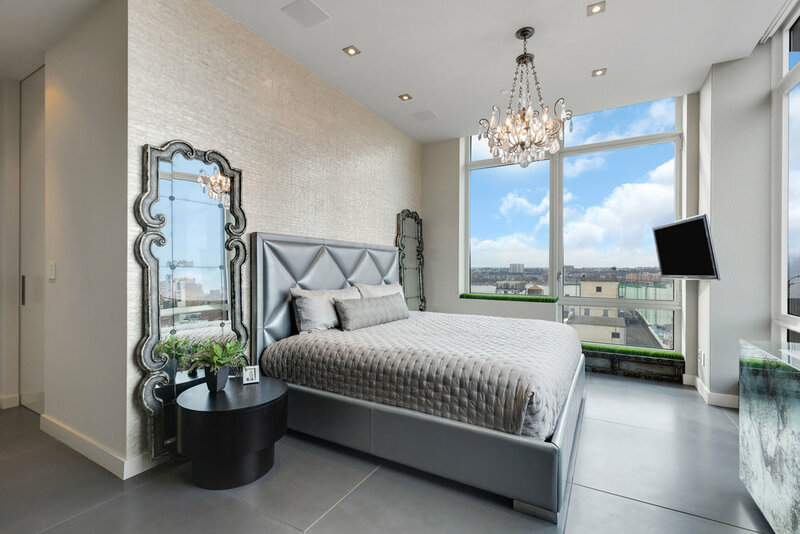 Down the hall, the king-sized master suite has breathtaking views of the Empire State Building, Midtown Manhattan, and the new Hudson Yards. There’s ample storage space with both wall-to-wall and walk-in custom-built closets. The en-suite master bathroom is a spa unto itself. Indulge yourself in the imported Kneif acrylic and brushed aluminum tub with Kallista hardware or in the large, luxurious stall shower, encased by Starfire clear glass and honed Carrara marble stone, with a 12” Raindome shower head to wash away the stress. The second bedroom is currently configured as a den and guest room. 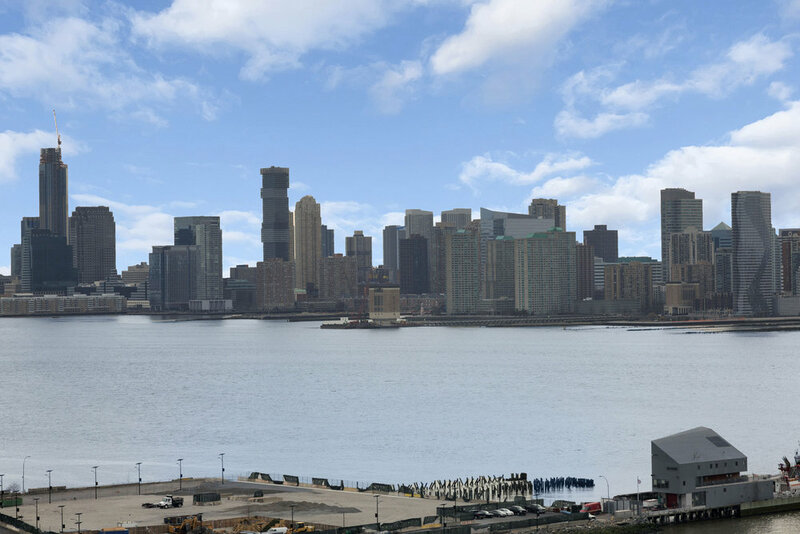 The room has sunny, open southern exposure with a direct view of the Freedom Tower. An en-suite bathroom has a custom dressing area of Macassar ebony wood and a large stall shower with elegant, polished concrete walls and a floor-to-ceiling glass partition. The finest fixtures are provided, including Sonoma Forge hardware and a 48” Robern mirrored medicine cabinet with built-in lighting and electricity. The electric Toto Washlet toilet adds to the extravagance of this amazing bathroom. The third bedroom is now a spacious home office, with a view of the Hudson River. A third full bathroom is conveniently located in the foyer and doubles as the guest bath. This is the ultimate home for modern luxury living. 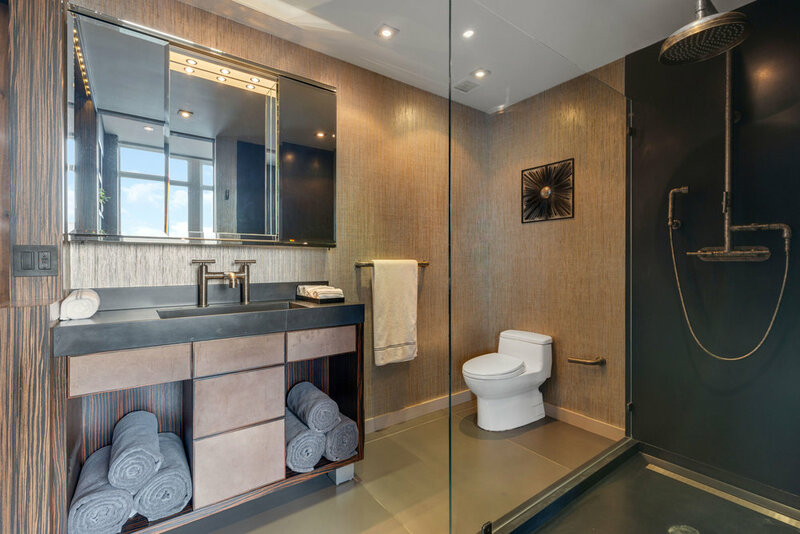 No detail in the design of this apartment has been overlooked, including built-in recessed lighting, custom baseboards and door frames, polished concrete floors, built-in Sonos sound system, custom ASI electric blinds, and even Toto Washlet bidet toilets in every bath. Of course there’s a washer-dryer all your own. 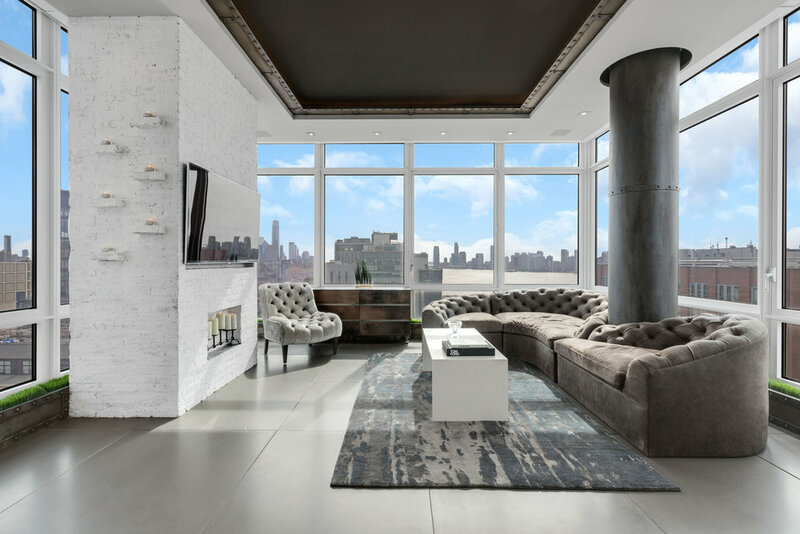 The Caledonia is one of the most sought after condominiums in Manhattan. Managed by the Related Company, the building is expertly tended with management on-site. The building has a gorgeous lobby, resident’s lounge, sun deck, Equinox Spa and Fitness, meditation garden, business center, playroom, parking garage, and a pet spa. The ideal location, adjacent to The Highline, The Caledonia is located just moments away from and Chelsea Market and the Meatpacking, West Chelsea, and West Village neighborhoods. 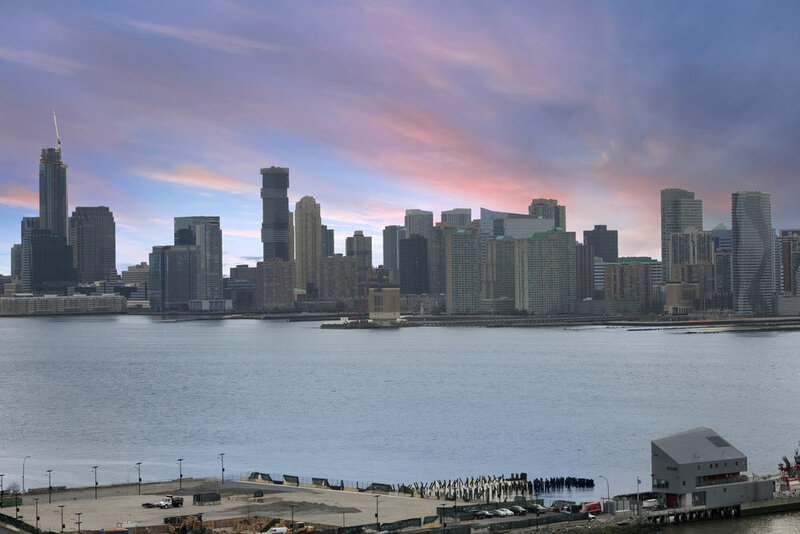 You’re literally surrounded by some of the best shopping, galleries, and dining in all of Manhattan. This could be your beautiful new home. Treat yourself to a viewing of Unit 2009 at The Caledonia, 450 West 17th Street. Call today for a private tour.